The Martha Stewart Living Modern 1 in. Bedford Nickel Narrow Finger Pull is ideal for use on smaller drawers and cabinets You will be amazed by its easy to use design. 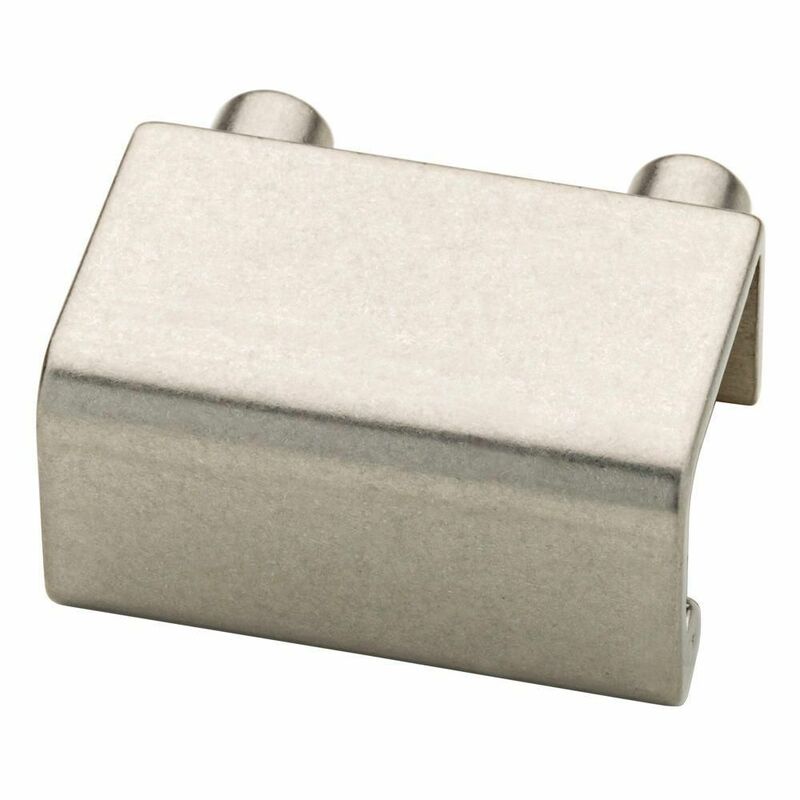 The pull is finished in Bedford nickel and is made from metal for strength. The Amerock BP1593FB Inspirations 1-7/8in(48mm) LGTH Finger Pull is finished in Flat Black. Clean, classic lines in a casual relaxed style, Inspirations is designed to compliment any dicor. Flat Black is a dark, matte Black finish that subdues the highlights of each design. The Amerock BP53719G10 Westerly 3in(76mm) CTC Pull is finished in Satin Nickel. Retro is revolutionized with an industrial twist on the classic urban lines of Westerly. Features sleek, modern lines and a substantial feel. The classic Satin Nickel finish provides a sleek, lightly brushed, warm grey metallic look. The Liberty 3-3/4 in. Matte Nickel Modern Cup Pull offers clean and elegant lines so it can be a beautiful addition to your home cabinetry. Ideal for use as an accent for kitchen or bathroom cabinetry or furniture. This metal, finger pull includes a polybag with 1 in. machine screws. 25mm Narrow Finger Pull The Martha Stewart Living Modern 1 in. Bedford Nickel Narrow Finger Pull is ideal for use on smaller drawers and cabinets You will be amazed by its easy to use design. The pull is finished in Bedford nickel and is made from metal for strength. 25mm Narrow Finger Pull is rated 4.4 out of 5 by 20. Rated 5 out of 5 by Carol from Exactly what I was looking for to modernize an old... Exactly what I was looking for to modernize an old sewing machine cabinet. Rated 5 out of 5 by Jim from Worked great for my application and was the quality product... Worked great for my application and was the quality product I needed. Rated 4 out of 5 by Andy from Just right. ... Just right. Rated 5 out of 5 by Phyllis from Absolutely love these. This sleek simple design took my project... Absolutely love these. This sleek simple design took my project to another level. I have received many compliments. Rated 5 out of 5 by HappyGirl from These pulls are fantastic. Met my needs perfectly. Simple design... These pulls are fantastic. Met my needs perfectly. Simple design and heavy weight makes for a high end look even with modest price point. Highly recommend. 5 stars! Rated 5 out of 5 by Aball from I used these as belt hooks by installing them upside... I used these as belt hooks by installing them upside down. They were perfect! The best solution for belt hooks on Planet Earth (I looked at about 2500 hooks before choosing these). Note that their finish is not "brushed," but rather "tumbled" which has a very different look.